Where “Wisdom” truly succeeds is in not relying on those tired trademarks that seem to be expected of most doom bands these days. Even though a majority of the tunes are lengthy, they are a far cry from the monotonous lurch fest that many doom records have become. The songs on "Wisdom" are epic, but dynamic. Heavy, but not sludgy. And produced, but not “slick.” The precision and planning behind the record is obvious, as is the passion. The album opens with the title track, “Wisdom,” a hushed beginning with a subtle pagan/folk vibe, but those soft harmonic guitars immediately burst into a mid-era Sabbath groove. Definitely a good pace-setter for the remainder of the album. The tempo changes midway through with eerie melodies before seguing into some palm muted heaviness and modal guitar runs, (not unlike other Swedish greats, Candlemass and Count Raven.) The following track, “The Black Wings a Demon,” is sure to delight the rockheads. It’s an uptempo rocker that takes things into Sir Lord Baltimore/Witchfinder General territory. For the incredibly rocking guitar solo, you’ll even hear some tough guy shouts, (bordering on the humorous,) like, “YEAH! C’MON! GET BACK! SHUT UP!” If rockers aren’t your thing, then fear not. The 15 minute plus, “Promises Made to the Earth,” will surely satisfy all of the stoners who prefer epics. 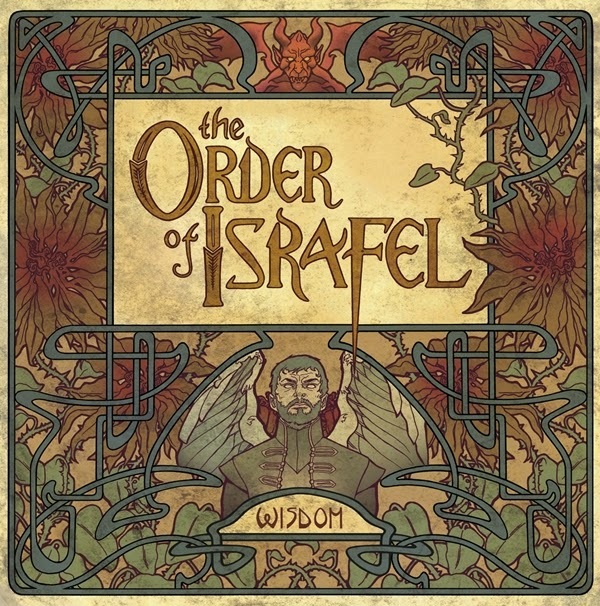 But be sure to also indulge in the band’s “theme song,” simply titled, “The Order.” It’s a bold move to have a “WE ARE THE ORDER OF ISRAFEL” chant on the album, but again, it seems that the band knows when to place their tongues firmly in their cheeks whenever necessary.